Provide comfort for the family of Donna Worthington with a meaningful gesture of sympathy. 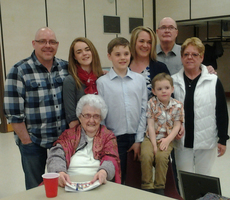 It is with sad hearts that the family of Donna Ann Worthington of Cold Lake, Alberta. 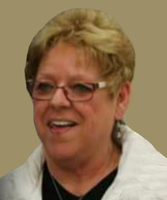 announces her passing on Friday, March 29, 2019 at the age of 68 years..
Donna will be forever remembered and loved by her husband of 47 years: Norm Worthington of Cold Lake, AB; son: Todd (Kelle) Worthington of Unity SK; three grandchildren: Shae, Easton, Lukas. Donna was predeceased by her parents: Victor & Leah Almstrong; two brothers: Richard & Wallace Almstrong; two sisters: Fay McMann & Dorothy Henry. Cremation has taken place and no formal service will be held. Memorial tributes in memory of Donna may be sent to the charity of one’s choice. At the families request, no formal service will be held. Norm and Todd so so sorry of hear of your loss. Donna was a wonderful person and will always be remembered. Cathy(McMann) and Dale Peters Jeff and DAlynne. Condolences to Norm, Todd and family. Our thoughts are with you. Norm, my heart felt condolence goes out to you and your family on the loss of Donna.